Power Unrelenting The ultimate power cruiser delivers unmatched performance from its 65-degree, four-valves-per-cylinder, 1679cc V-four—producing eye opening amounts of perfectly controllable acceleration, flowing from a compact engine that looks as powerful as it is. Advanced Ride-by-Wire Throttle Downdraft four-bore fuel injection with YCC-I® intake technology and YCC-T® fly-by-wire throttle provide awesome acceleration throughout the broad powerband. High-Tech Aluminum Chassis Lightweight aluminum chassis puts the engine low and forward for mass centralization, resulting in a machine designed to handle curves as well as straightaways. 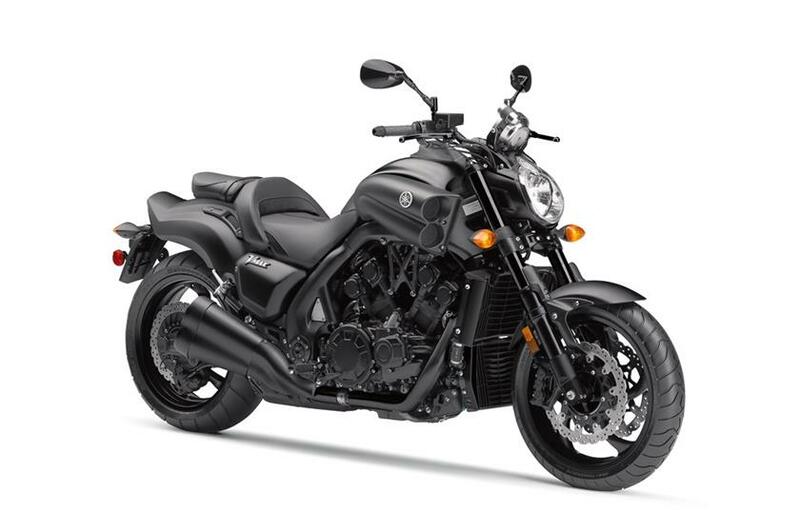 Performance Technology Borrowing liberally from advanced sportbike technology, VMAX® features a slipper clutch, wave-style brake discs, ABS, and complete suspension adjustability front and rear. Unmatched Fit and Finish Functionality and forward-thinking style uniquely combine with features like oxidized-titanium-coated 52mm front fork tubes, magnesium engine side covers, fluorinated polyethylene fuel tank and the organic electroluminescence multifunction display.